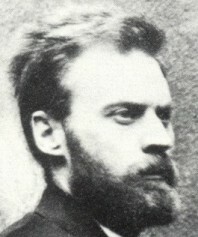 C. Goodwin Norton was born 8 April 1856 in Shere, Guildford, Surrey. He worked as a cabinet-maker but his left hand was partially paralysed in an accident, and he opened a stationers shop at St Pancras, London. He later recalled how he purchased a lantern and slides at a book sale, gave several private shows before buying a bi-unial and launching into public performances, while retaining his stationers business. He became well-known for his spectacular lantern entertainments - eventually with a triple lantern and featuring dissolving views - introducing films into his programme during the latter half of 1896. He then acquired a Velograph camera and produced quite a number of films through to the end of the century, some or all of which were processed by G.A. Smith of Hove; titles such as Street Panorama, Promenade and Circus. Other subjects included variations of the familiar Waves and The Gardener and the Hose, featuring Norton himself as the gardener, and his son Charles Douglas Norton as the mischievous boy. Norton also took the lead in The Postman and the Nursemaid; the maid being played by his daughter, Alice. More original were Shop, an advertising film in which a boy sticks a bill on the Norton's shop window announcing 'Animated Photographs C. Goodwin Norton', and Good Night, a scene outside the shop at closing time. As well as producing films he continued as an exhibitor. 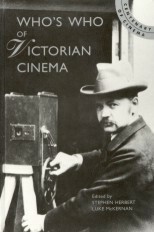 He adapted an early projector to take a reel containing about twenty short films, and gave shows for the Empress Eugenie, wife of Napoleon III (10 September 1896), the Royal Family at Buckingham Palace (8 January 1897) and at Cowes, Isle of Wight (3 January 1899), and King Edward VII and family on 14 December 1901. He may also have been a projectionist for Harrods department store at this period. Thanks to a donation by his daughter Alice to the National Film Archive, many of the films from Norton's shows, both his own productions and others, have survived, and those featuring the activities of children have a rare charm and distinctive 'home movie' style. An unpublished biographical note concentrates on his army experiences. He died at Osterley, Middlesex, 22 March 1940.